Hello, and welcome to perhaps the only recipe I’ve ever made which makes use of not one, not two, but all three of your stand mixer’s standard attachments. Hooray! It’s like the Holy Grail of Baking. People of Greece: I want to thank you for this bread. Thank you for making this an essential part of your Greek Easter celebration, thank you for its incredible flavor, its delightful sweetness, and most especially for my ability to make it on my very first try without utter failure. I would have cried had it not worked out, because just the scent of the dough was enough for me to long for it. Seriously, this may be my most favorite sweet dough ever. And I’m going to show you how to make it. Have you ever had tsoureki? I came across it while researching mahlab a few months back. The mahlab experiments resulted in a pretty awesome pannenkoeken recipe, but I tucked tsoureki away until now because it’s a traditional Greek Easter bread and I don’t know that there’s a single Greek thing I don’t love. Including the Greeks themselves, as it turns out. Tim has a cousin who is half-Greek (a result of his side of the family marrying into a mega-Greek one), she lives in our neighborhood, has a kid the Wee One’s age, and is the closest thing to a sister-in-law that I’ll likely ever have. And she’s a hoot: she’s the marathon-running frick to my sometimes-exercising frack, the vegetarian yin to my cake-batter yang, and I love her as much for our differences as our similarities. Her family gatherings are loud, jubilant, and somewhat jarring to someone of my ilk (generally quiet, anxious in large crowds), but I love going all the same. And they love me too, although this is perhaps due to my willingness to let them flagrantly violate my personal space and regale me with uninterrupted tales of…everything. Whatever it is, it’s a cultural learning experience, and I’m a better person for it. So my plan was to make this bread for my cousin as a surprise treat for Greek Easter, because I had a feeling she’d love it. Turns out, I couldn’t wait that long, and I’m happy I didn’t, because now maybe you’ll make it for your own Easter or Greek Easter celebrations. it’s dead simple to make, as far as breads go (obviously there are simpler things), and I swear your kitchen will smell like you’re baking angel wings for most of the day once you pop this in the oven. I can’t go on enough about the scent: it’s a mixture of orange and almond and vanilla and delicate sweetness, and it’s intoxicating. So yay for Greeks, because they’re the ones who are responsible for mahlab (truly, it grows in Greece), and because of them, this bread exists. Now to show you how to make it. Some of you saw my photos on Facebook and Instagram and wondered if perhaps I was a robot. I am not a robot, as a matter of fact, and i’m not even good with bread braids mostly, but this dough made it way easy on me. Here we go: some tips to make your bread look like fairies made it. Timing [isn’t] everything – You know how most recipes talk about letting things rise “until doubled/tripled in size, about 1/2/3 hours”? In my experience, the size is the primary thing to look for. Certainly it’s good to keep an eye on both, but you want to not rush things because a book says that it will magically be done at the same time as everyone else’s. Everyone’s kitchen is a different temperature, with different drafty places and humidity levels; you wait until it looks the size it should be, and don’t fret. It makes for a nicer dough. Patience is a virtue – I’ve discovered that half my issues with bread in the past have come from my incessant need to do everything quickly. This doesn’t bode well for bread dough, because it can get rubbery and tight if you try to rush things. So relaaaaaax when you’re rolling this into lengths; if it starts to snap back on you and shrink, just let it sit there a few minutes in time out until it can behave. Work wide – Bread braids are not at all like hair braids; the latter comes together in a very vertical way, while the former really needs to spread out horizontally to get an even look. See that up there? That’s how I like to braid bread: go wide, use the entire counter space, and lay each length on each other where you want it. Go too tight and your braid will end up smooshed and uneven in places; go wide and you can control it more effectively. Be DTS [down to snuggle] – My bread ends have never looked quite right until this bread; they stick out weirdly and look like just that: the end of the bread. With this one, i took the ends and snuggled them under, which tucked away the true “ends” underneath. It’s a nice round finish that I had never thought to do before, and maybe that’s dumb, but if you snuggle it right and pinch everything together, they stay under and puff up just so, and it will look like baby bunnies made it. Pick your own shape – This bread works wonderfully in both shapes you’ve seen so far: the straightaway braid, and the circle braid. Both require the same braiding and tucking technique. 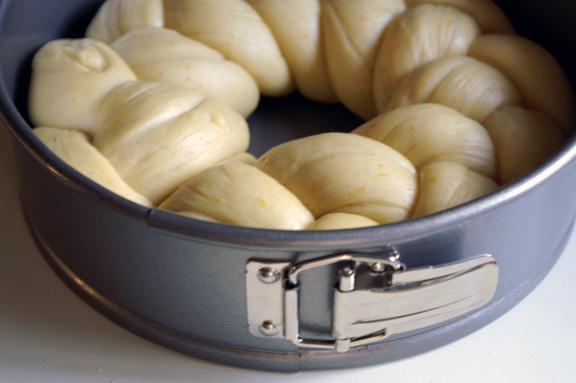 If you feel less confident about the evenness of your braid, consider throwing it in a 9-inch springform pan as I did: whatever mistakes you may have made will be gently corrected by the pan as it bakes, and the exactness of the exterior will be a sight to behold. This recipe makes two loaves, so do what I did and try both ways to see which one you like best. Can this bread be made without the mahlab, because you don’t have a Penzey’s Spices near you and/or you don’t need one more thing to do before this weekend? Sure. It will be missing that unique little kick of flavor I was talking about earlier, but it will be delicious all the same. I still say you should buy some, because between the pannenkoeken and this tsoureki, you’ll use it up quickly. And then you’ll want to buy more, because perhaps the best part of tsoureki? I don’t know if you’ve ever thought about french-toasting an orange and almond-scented sweet bread with a bit of cinnamon and maybe some orange compound butter or maple syrup, have you? You are thinking about it now, so…dust off those mixer attachments. If you need any more reasons to make this, I did end up gifting my Greek cousin-in-law with this bread last week, on the day it was made; in fact, it was still a little warm from the oven. It was a warm day, so me and the Wee walked it over to her house, and while the kids played in the front yard, she cracked open the loaf. I looked on in amazement as my health-nut, calorie-counting, simple carb-eschewing cousin pulled off piece after piece of this bread with her hands and ate it, sans anything, in the driveway. Adapted from Martha Stewart’s recipe for tsoureki, which was a sturdy recipe to start with, and fun to mess with. I took a great deal of liberty in the preparation and with some of the ingredients. Note to Martha: next time, include the mahlab. Stir sugar and yeast together in the bowl of a stand mixer fitted with the whisk attachment. Whisk in warmed milk and let stand until foamy, 5 minutes. Stir in 1 1/2 cups all-purpose flour until mixture is combined, scraping down the bowl as needed with a rubber spatula. Cover with plastic wrap and let sit for 30 minutes, until bubbly. If your mixer doesn’t naturally sit in a warm spot in your kitchen, remove the bowl and sit it in a warm spot for the 30-minute bubble time. Generously oil a large bowl (for proofing). Set aside. In a medium bowl, stir together the remaining 1 cup all-purpose flour, kosher salt, and mahlab. Set aside. In another medium bowl, whisk together the orange juice, zest, honey, vanilla and almond extracts. Set aside. In a small bowl, add your fears that this recipe will fail you. Set aside. Place your mixing bowl back on the stand (if you removed it to a warmer climate) and fit with the paddle attachment. With the mixer on medium-low, add the eggs, one at a time, mixing well after each addition. Add the all-purpose flour mixture and stir on low until incorporated. Add the butter and wet ingredients (give them a brief whisk just before to unsettle any honey sticking to the bottom) and continue to mix until combined. Remove the paddle attachment and replace with the dough hook, scraping off excess dough from the paddle attachment on its way out. Gradually mix in 2 cups of bread flour, 1/2 cup at a time, scraping down the sides of the bowl as needed. Continue to add the final 1 cup of bread flour a little at a time until the mixture forms a soft, slightly sticky dough that pulls away from the side of the bowl. Don’t be heavy-handed with the last bit of flour: you want a soft, pliable dough, not a dry, tight one, and you can always add, but never subtract. Once you’re done adding flour, increase speed to medium-high and mix until dough is very smooth, about 8 minutes. Remove the dough from the bowl using a rubber scraper (it works well for this) and form dough into a ball. Roll it around the oiled bowl until all sides are coated, then cover tightly with plastic wrap and let rise in a warm place until 1 1/2 to 2 times its size, about 1 1/2 hours. I don’t have a “warm spot” truly in my kitchen; seems as though a good amount of air circulates through it, which is fabulous for everything but proofing. I DIY a proofer by boiling water in a teakettle, adding it to a mug, placing the mug in the back of my microwave, then placing the bowl of proofing dough into the microwave and closing it. Not only does it provide a draft-free, warm environment, but it gets a little humidity in there as well. Works every time. If you are making two straight loaves, line two half-sheet pans with parchment paper. If you are making two round doughs using 9-inch springform pans, spray them ever-so-lightly with cooking spray. If you are doing one of each, I think you can figure it out. 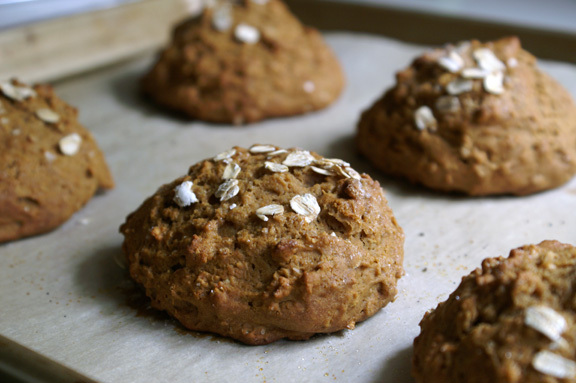 If you want to do free-form rounds on baking sheets, then…do it. Remove dough bowl from its warm home, uncover, and punch down the dough. Cut the dough in half with a large knife or bench scraper, then cut each half into 3 equal pieces (I do this by shaping it into an even rectangle and eyeing it up). Cover 3 pieces covered with plastic wrap while you work with the remaining 3. Gently shape each piece into a rough log with your hands, then roll it out into about 24 to 30-inch long ropes, working slowly so your dough rolls out evenly. As I mentioned above, if you notice your ropes shrinking when you remove pressure or feel them pull against you, leave them sit for a few minutes and come back to them. Place the ropes next to each other, pinching the ends on one side to seal. Tuck ends under for a smooth finish, and spread out the ropes as wide as possible on your counter. Loosely braid your ropes together, laying one strand on top of the other, not pulling or stretching them. You want a braid free from gaps, but you don’t want to strangle it either. Adjust your ropes throughout so they stay wide on your work surface, which will make for a more even finished product. When you reach the end, pinch the ends together and tuck them under as you did the other side. If you’re making straight loaves, simply transfer the braid carefully onto a prepared sheet pan. If you’re making springform rounds, transfer to the prepared pan, leaving about a 1/2 inch of space between the outer edge of your bread ring and the perimeter of the pan. Cover each loaf with a kitchen towel and place back in your warm spot to let rise until doubled in size, about 1 1/2 hours, give or take. Aha! I do not have two microwaves, and therefore I do not have two warm spots to head towards. In this particular situation (which happens often with bread), I simply do the same coffee cup/boiling water method, but in my actual oven. When it’s time to turn the oven on, simply move the dough out and to a different warmish spot; by then, it’s already well on its way to gorgeous, so nothing to fret about. Ready your egg wash by lightly beating an egg in a small bowl. Preheat oven to 350˚F and place a rack in the lower third of the oven. I refuse to bake most anything more than one sheet at a time, and this is no exception. Pick the one loaf which looks the most ready to go and gently brush the entire thing with egg wash. Place in the oven and bake for 25-30 minutes, checking at the 20-minute mark until loaves are a deep golden brown and sound hollow when you tap them. As you look at the braid expanding, the inner crevasses should still be light golden and not at all overdone; see the photos above as a guide to what you’re looking for. Remove from oven and transfer to wire rack to cool. Repeat with remaining loaf. I didn’t think there were many spices left that I’d never heard of but this Mahlab is totally new to me and NOW I MUST HAZ IT! That bread – it almost made me weep just looking at it…of course I’d cry over any bread in my current bread-less condition, but that’s besides the point. Sadly, I will probably only ever taste this bread in my dreams, but they will sure be sweet! I’ve never heard of mahlab either, until a trip to Penzey’s a while back. I can’t believe i’ve gone so long with out it! I’m not sure I’ve ever seen a more glorious looking bread, and I’m off to track me down some mahlab! thank you, sue! I know for certain that Penzey’s has it (always), but at this time of year, and given that it is specifically used in an easter bread, you may be able to find it at more upscale grocery stores, whole foods, and for sure ethnic markets. 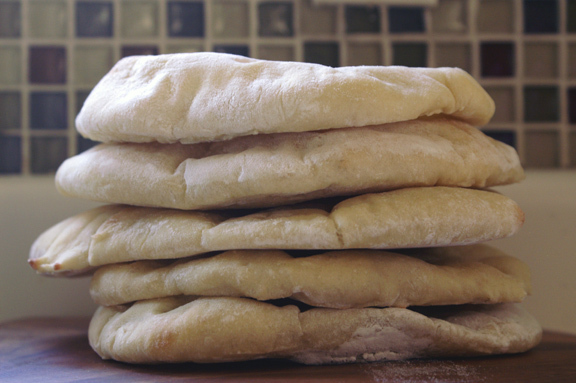 This bread is almost too beautiful to eat – I can’t wait to make it with my mahlab! I’m like 195% sure that it won’t be as beautiful as yours, but I’ll try – and are you KIDDING me with the french toast!? Ugh. I want to make it JUST so that I can make french toast with it now! Well, sorry weekend, we have plans (filled with bread). I’ve seen you execute bread things, natalie, and if i can braid, YOU CAN BRAID TOO. and you MUST make the french toast with it: that’s an order. whoops: sorry, weekend. although i’m sure your weekend won’t mind one bit. Ugh- Just stop it already! Stunning and incredibly impressive! thank you! although i think the dough gets credit for this: SUPER easy to work with. Pretty, pretty! And you told me you were afraid of making bread! Looks like you conquered your fear. And in a spectacular fashion! 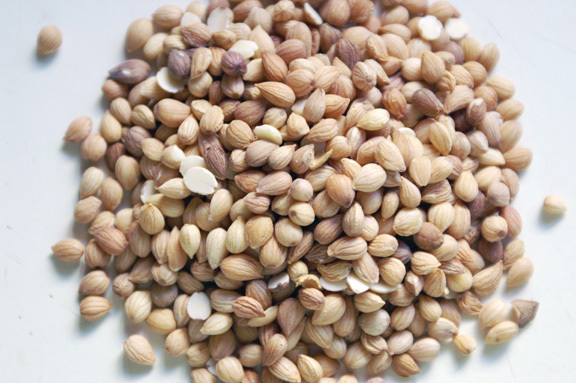 I need to get more mahlab. I had some, but it was really, really old. Like probably over five years. I decided to chuck it and get more before I ruined any baked goods with old, tired spices. Traveling to Penzey’s isn’t going to happen – I might just have to make tsoureki without it, at least once! P.S., can I just say this is the best line ever written in a recipe ever? “In a small bowl, add your fears that this recipe will fail you. Set aside.” LOVE! yay! i was hoping one of you recipe-readers would catch that one. 🙂 i like to throw in “easter eggs” every so often in my recipes. thanks, Willow! you know, i’d love to act like i was exaggerating about the smell, but i am SOOOOOO not exaggerating: it’s such a fragrant bread, and the scent lingers long after you turn off the oven. I’m thinking of working my easter dishes around this bread so i can have it fresh-baked at easter brunch, and because it’ll make the house smell delicious. There are so many good things in this post. However, I can’t seem to get over the phrase “down to snuggle.” I almost choked on my ginger ale. Your cousin’s family sounds like a fun crowd. I bet their parties are off the hizzie. I’m going to my Aunt’s for Easter and couldn’t, for the life of me, decide what to bring. I’m a baker; I feel like I should know these things. I feel like I should have been prepared months ago as I was preparing my Easter posts in December. There’s only one problem with that little scenario. I’m not organized, and I don’t start baking holiday recipes three months in advance. I dunno, call me crazy. I think this is it. THE one! I think this is the winning recipe that gets to grace us with its presence at Easter. Now, to find some Mahlab. Let me not forget to mention that you have grown as a bread baker. 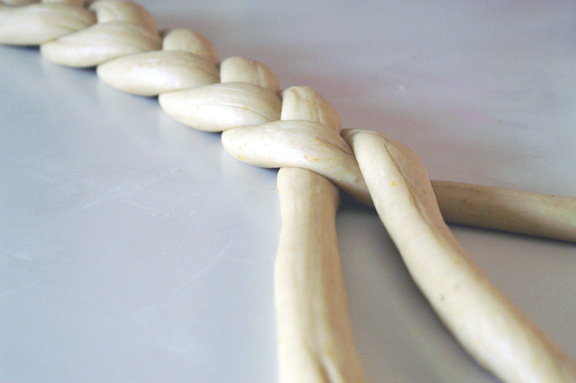 Look at you braiding dough. Bravo, my friend. ha! i was wondering if anyone would catch my Jersey Shore reference with “down to snuggle.” 🙂 they are fun to be around: it’s alot for a natural introvert (b/c you can actually feel the life draining from you, even if you’re having a good time) but it’s worth it. YOU aren’t organized? i had ONE POST to get out for easter and i almost didn’t, so i think you’re doing okay. 🙂 i haven’t even considered what to make for easter this weekend, except for this, so we can be late to the party together. and thank you: certainly you were part of the process of learning bread with your recipe for your grandma’s rolls, which helped my confidence tremendously. i’ll never forget that, b/c it was the first yeast recipe in a long time that turned out the way it was supposed to. I so wish I were organized. It may appear as if I’m organized on my site. However, behind the scenes I’m flying by the seat of my pants. Now I kind of want to fist pump, too 🙂 I hope you have a lovely Easter. I’m sure whatever we bring to the table will be delicious. Fabulous post! I’ve had this bread before — baked by a friend, who, although born in the US, is essentially 100% Greek. Never made it though, and I’ll have to (or pester Mrs KR to do it — she’s a much better baker). We don’t have a warm spot either, so often stick bread dough under an electric blanket set to low. Sounds weird, I know, but works great. Thoroughly entertaining read — thanks. Electric blanket! WHAT A FABULOUS IDEA. i would have never thought of that, but i bet that works wonderfully. Ingenious: i’m totally doing that sometime. thank you monica! you know, i struggled to cut into them too; it’s like you don’t want to ruin the magic, but it’s worth the sacrifice, i promise. Last time i was at Penzey’s (last weekend) they had quite a bit of it in stock, i’m assuming for the easter holiday, but i do believe they always have it. there’s lots to find there! i’ve grabbed several previously unknown spices to work with when i’ve wandered through there. you know, given my recent Martha disappointments, i was hesitant at first, but after finding other recipes that just didn’t seem as good, i went with it, and i was very happy with the result. I’ll probably always have a soft spot for her as well, because i know when her recipes DO work, they are magnificent. This bread looks freakin’ amazing. The orange juice and honey? Yes, please – they belong in sweet breads. I’ve never had mahlab, wonder if I can find it here, and fear my life won’t be the same now without it. you know, i don’t know truly how weird that is: when graduated college with my english lit degree, i think i stopped reading the types of things i had to read for school, and for a really long time. Pretty sure i read the trashiest, easiest, summer-readingist books i could find, just to cleanse my brain. so after working so hard like you did in school, i’d be pretty done with breads, pastries, and anything remotely finicky for a good, long time. You don’t know how reassuring it is to hear that i didn’t blow that suggestion: timing just never works for me as well as look/feel, and that can be said with mostly anything in baking. I’m happy that scholars agree, because it really does need that wobble: just because your timer goes off doesn’t mean it’s magically finished. If you have an ethnic or middle eastern market, you should be able to find mahlab. If not, that little almond extract addition should go a little way to make up for some of the flavor, but truly, it’s something to keep in the pantry. who doesn’t want cherry/almond flavor in a wee seed? Oh my! That is a glorious bread! I can almost smell the lush aromas as the bread proofs and bakes. A lovely post! Wow, Shannon! That is a beautiful loaf of bread! I am so in awe! I have a lousy track record with yeast breads. The only yeast bread i have had consistent success with is challah. 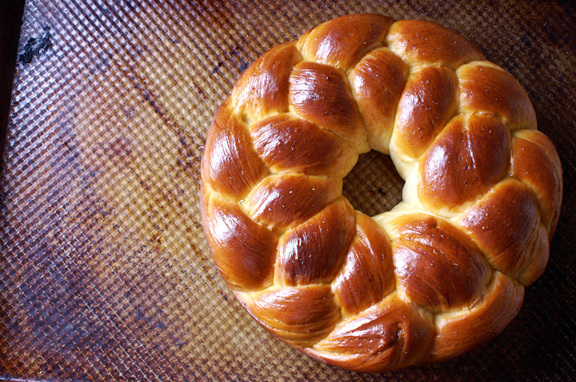 But this gorgeous tsoureki looks kind of like challah with a Greek accent so I am going to try. Your description of the scent and flavors is so enticing that mahlab is now on my shopping list. I welcome any excuse to drop by Penzys, though I long ago ran out of room in my spice drawer! Happy Easter! Thank you! but truly, it wasn’t that hard, and the dough is easy to work with (very much as you say, like a challah with an accent). 🙂 So you’d be great at this one if you can make a challah, for sure; the whole feel of the dough is almost identical. I feel like if i go to penzey’s today or tomorrow, i’m going to run into ALL OF YOU. 🙂 which i’m totally fine with, by the way, just leave me a jar or two. I have mad love for these braiding tips. I love, LOVE sweet braided breads. 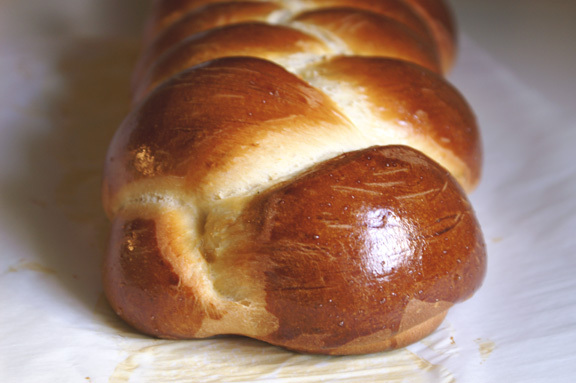 Challah is my most favorite…only because I haven’t tried making anything else. The flavors here sound wonderful. And it’s so…shiny! I just want to look at the tsoureki all day! Ha! thanks, Brianne: i try to make the tips useful and fun (b/c that’s the best way to remember anything, right?) 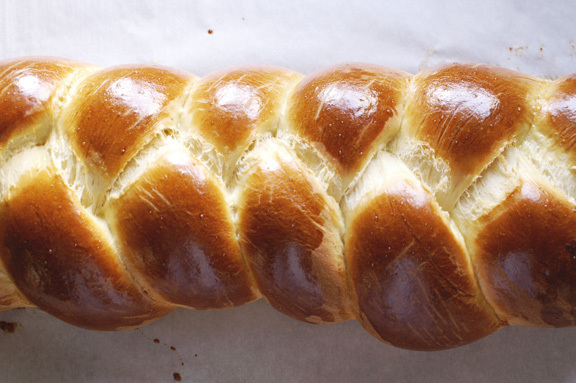 If you love challah, you’ll love this…maybe even more? It’s very much the same in terms of texture, but the flavors in this are really beautiful. and yes, very shiny. glowing when it came out of the oven almost. All three attachments? It’s a miracle! It may be weird, but I imagine the unused attachments get jealous of the one that is used for each recipe. Now they all get some love! I’ve been eagerly anticipating this recipe from you, so I can showcase mahlab to my family (and finally try the jar I bought instantly after your pannenkoeken recipe!). Hopefully my loaves turn out as gorgeous as yours! I love your clever proofing tricks too! My kitchen lacks a consistently warm spot, so I’ll definitely be using your trick. i know, right!?! i was oddly thrilled at the prospect of using all three for one recipe: i’ve done two before, but never all three. I know you have: you and a few others i’ve told about it and who have subsequently purchased mahlab are the reason i got my act together and posted it prior to the weekend: all of you deserve this bread and the smell it makes in your kitchen! I’ve had my proofing go sideways too many times (cold drafts! especially in winter) to not have come up with some solution for here, and i’m sure i’m not the only one. I think the Sarabeth’s cookbook i have talks about how she does this thing where she somehow magically poofs open a big plastic garbage bag and swoops it over the bread and then somehow traps air so it’s like a big balloon, and then at the same time manages get two coffee cups of steaming water inside. now, if you ask me, that’s a big fat load of gobbledygook, b/c who can do that? no one. so i cobbled together the microwave/coffee cup proofer. MUUUUUCH easier to accomplish. Holy..wow, that is an amazing bread. I always appreciate your baking posts (even though I’m not much of a baker) because you really break the process down in a thoughtful, accessible way, and makes me want to try them (even though I don’t really have any reason to be making large, beautiful sweet breads right now). 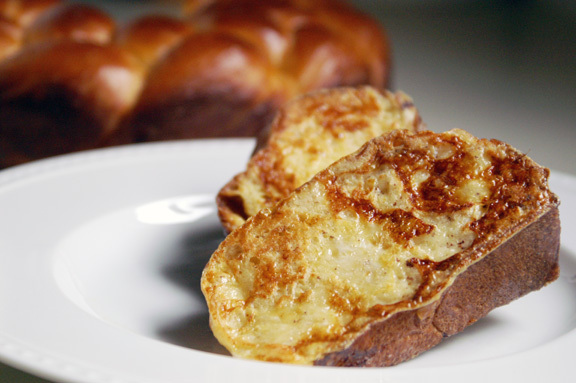 But as a fan of challah (and challah French toast), if I ever feel gutsy enough to try this I know where to go! oh, thank you! That’s so nice of you to say, Elizabeth, truly. It’s why I do posts like this: i know i would appreciate a “real-world” breakdown of recipes sometimes, because too often you get the remedial version (like i already know how to soften butter, MOVING ON) or a high-end version (when i automatically feel stupid for not having 4 years of professional training) and nothing in between for those of us who cook or bake regularly but need a little step-by-step every now and again. Hi Shannon! I picked your recipe from all the others available on the internet because it just sounded amazing. So I decided to give it a shot today. Just as the dough was being kneaded for the last 8 minutes, I realized I had a lonely stick of butter getting very soft on my counter. I looked over the recipe several times to see where I missed adding the butter, but it wasn’t in the directions….so I added it at the very end and just allowed extra time for it to incorporate into the dough. Keeping my fingers crossed that it ends up tasting as delicious as the recipe sounds! You know, i was making this bread (again) yesterday and noticed early on in the day that the last update i made to the recipe never posted. I had noticed the butter addition was left out the day i posted it, and fixed it, but for whatever reason, an earlier draft was the one showing. so sorry about that! I hope i didn’t ruin your bread for you: i would be sad about that. 🙁 i really hope your bread is as delicious as it’s supposed to be: it’s a pretty forgiving dough so i’m crossing my fingers. 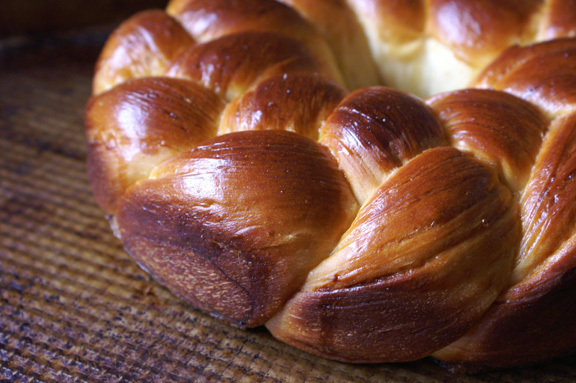 Jeez, Shannon…That’s the prettiest challah I’ve ever seen! Just kidding! That is gorgeous and I can’t wait to try it. Your directions were perfect and now I will add mahlab to my list for the spice shop. But my neighbor is Greek. I will ask her. And their Easter is, I think, this weekend. Great tutorial. Thanks for your hard work! Ha! Thank you, Abbe: honestly, i’d think it was a challah by just looking at it, since they’re basically identical in braid. 🙂 Definitely seek out mahlab if you can, and ask your neighbor about it! I didn’t use mastic in this recipe, as is very traditional, so if she’s made this, she may know more about the flavor it adds to this. My Name is Eiman and am from Egypt. But I will not lose hope and try to make it one more time !! It’s very nice to meet you! 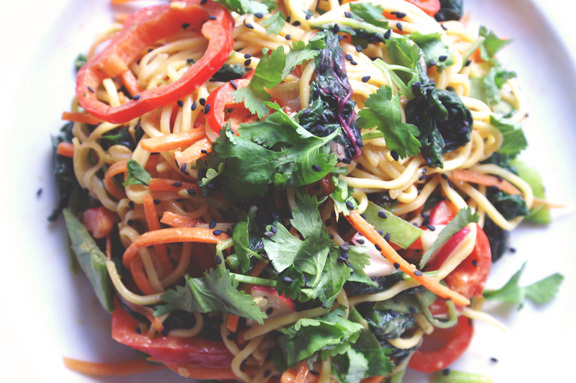 and thank you for your kind words about the blog and about my recipes…so sweet of you to say, and i’m grateful for it. I’m so sorry about the butter issue: i had noticed the mistake after posting it and went to do an update, and noticed on Saturday afternoon (before Easter sunday) that that update was still in draft format. Totally my mistake, and one i fixed as soon as i found out. I hope you try this one again so you get to see how beautiful it turns out with the butter! And again, so sorry for overlooking that update: i owe you a tsoureki, for sure. That bread looks mad impressive! How gorgeous! Thanks, Dana! Gotta love breads that look impressive and yet are pretty easy (on the bread spectrum, at least.) This one makes me look SUPER talented; it’s a good cover. Meeeeeeeeeow but that is a pretty looking loaf of YUMMY bread. Eli has asked me to stop using the word yummy in every other sentence, so I have to find ways to work it in online. You may use “yummy” at any point in our blog conversations and i will not mind at all. I wish I had a family member from a big loud family, because I love going to gatherings like those! Sounds like a lot of fun. This sounds/looks SO yummy. It definitely reminds me of brioche/challah. I think I’d love it. You did such a gorgeous job making it…so beautiful!!! I’ll say it’s fun…IN SMALL DOSES, at least for someone like me. if i had to do all the holidays with her Greek side? nnnoooooo. 🙂 it would be too stressful/loud. it’s very much like a brioche/challah in texture – basically identical – but with a little flavor from the mahlab and orange thrown in for good measure. It was family-approved several times over, so it’s now going to be our easter tradition. How many loves does this recipe make? Hi Adam – This recipe should make one (big) loaf.